You are here: Home / Monetizing Your Blog / How Much Money Should I Spend on Blogging? 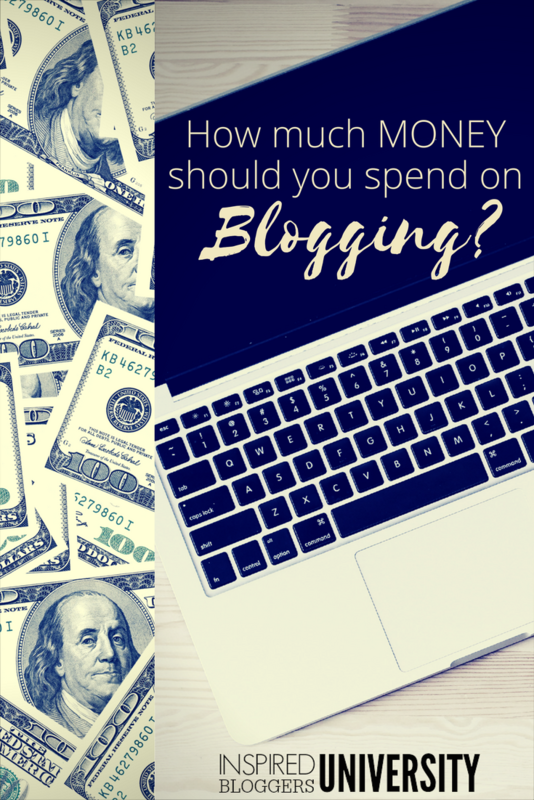 How Much Money Should I Spend on Blogging? 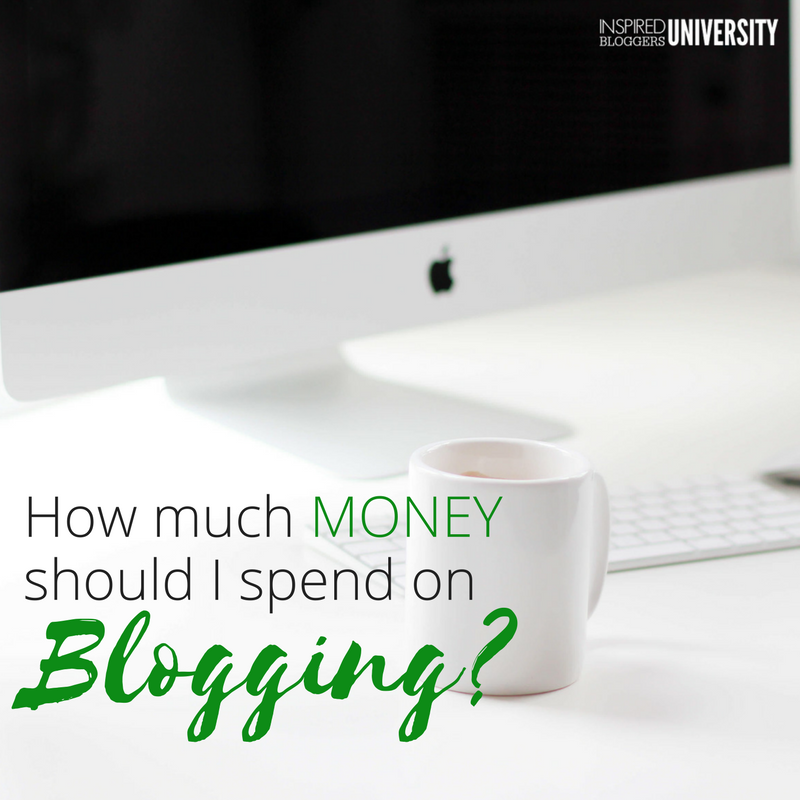 Confused about how much money you should spend on blogging? Do you wonder how you can invest in your business when there is so much risk? Download the Blogging Finance Spreadsheet and balance your business budget. How can I afford to spend money on blogging? How much money should I spend on my blog? How much does blogging cost? How much money can I invest in blogging… when I am not making money yet? But as a person who has managed her business finances poorly only to have a radical transformation and start balancing money well, I have discovered a formula that will tell you exactly how much you should be spending on your blogging business. When you compare the price of starting a blogging career to the cost of other start up businesses, the fee is almost insignificant. In the beginning, all you need is a domain name (as little as $0.99) and a webhost (as little as $3.95 a month). However, when you realize you like blogging and want to make it a career, things can get expensive. Truly, there are lots of ways to do things for free but it often takes a ton of extra time and can stagnate your growth. Trust me. READ: Frugal living almost killed my business. Then, there is the polar opposite of not wanting to spend money on your blog. You tip the scale of spending too much. Blogging is not a “get rich quick” career. I didn’t make a profit until my second year of blogging… and it was a whopping $100. TOTAL. My third year of blogging was when my income started to be consistent and grow. Are there bloggers out there who grow faster? Absolutely. But they are not the norm. While it does seem the bloggers who put money into their businesses typically experience growth faster, investing financially in your business is hard because there are no guarantees. So how can you decide whether to invest in your blog or not? As you consider blogging as a business, be honest with yourself. Are you able to commit the hours necessary for growing a blogging business? Can you be consistent? Will you stick with this for at least three years – come rain or come shine? If you cannot commit to at least three years, find something else to do. 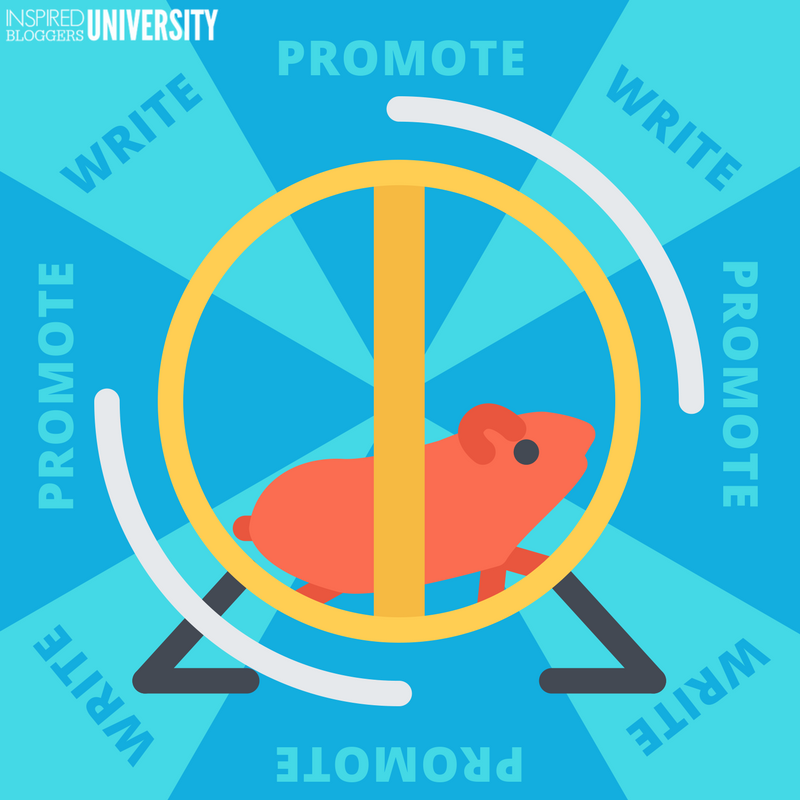 However, if you are ready to pursue blogging as a career, it’s time to invest. Every business requires some up-front expenses, and yes there is risk involved. But, take it slowly. I recommend paying for your domain and hosting. Not negotiable. These are MUSTS. You want the option to send a freebie to those who subscribe. With MailChimp, you access automations for about $10 a month. Once you have a list of 2,000 and/or have a product to sell your subscribers, switch to ConvertKit. One other thing I would recommend as you start a blogging business is to continue your education. Blogging courses can range in expense from free to hundreds of dollars. Personally, I consider blog education a ministry and realize that my audience cannot afford the expensive classes. That is why membership through Inspired Bloggers University is only $29 a month and includes ALL of the courses you need to establish a healthy blog and grow it into a successful, money-making business. 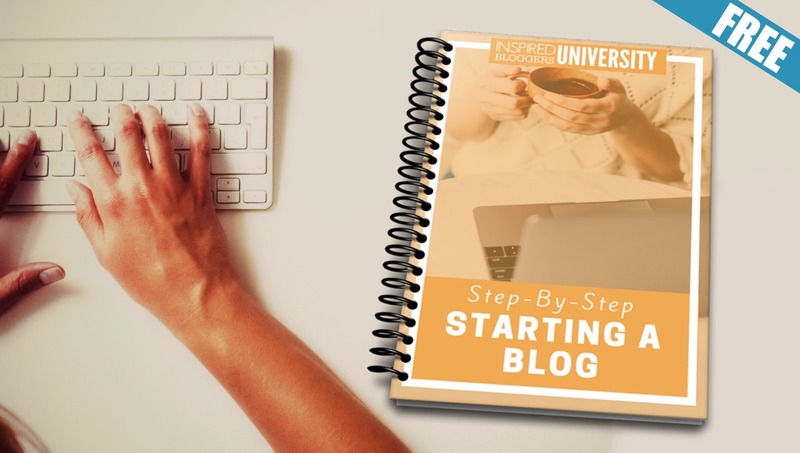 Inspired Bloggers University courses are more thorough than any you will find anywhere else and come with a free community where you have access to other members and ME. I do not retreat from you. My goal is to help you, not to take your payment and disappear. Everything else you might be tempted to purchase is optional. Now, let’s talk about numbers. In January, a friend sent me a copy of Profit First by Mike Michalowicz. From the introduction, I was riveted. It’s like Mike knew me personally… and how I was killing my business. I had learned how to collect money, for sure, but I had never learned how to keep it, how to control it or how to grow it. You see, I have a knack for helping others create amazing businesses from blogs. I even have a knack for making money. But I stink at keeping money in the bank. Until I learned Mike’s secret. As you begin to make money with your blog, divide your income into four categories: your paycheck, expenses, taxes, and profit. How do you keep the money separated? Believe it or not, you are NOT supposed to transfer everything to your personal banking account. You need to set up three new accounts: checking for expenses (I use PayPal), savings for taxes, and another savings account for profit. Now, you can clearly see what you can afford because your blogging business has an expense account. You have $120 per month to cover your business expenses, whether they be web hosting, an assistant, or continuing your education. What should you do with the profit portion? That is between you and your accountant. I also recommend that you read Profit First for yourself as there is MUCH MORE wisdom about operating a profitable business as an entrepreneur. This barely scratches the surface. Ready to start balancing your business finances? Subscribe and download the spreadsheet I use to track my four categories and make sure each is deposited into the correct account. I have included a video to explain how the spreadsheet works. Great blog here! The success of an online marketing will depend on the strategy that the company has. The effectiveness of one’s company campaign of a certain product or services can be measured in many different ways such as the visibility of the product & services online & the patronage of the customers.